Fri….Jan. 17, 2014…..Just thawed out enough to do today’s report…..here’s a snippet from our report…. That was the word before we left. Well, it was a bit colder than I believe was forecasted…..we had ice in the rod guides on every cast and it was 2pm before it wasn’t as bad. But if you were in the shade it was still an issue. Chilly , breezy, lot of snow around , some parts of the area had some significant snow and ice, particularly if you go east or north or northeast. I kind of knew we’d work for our fish, no problem with that. We caught some right off, then things were kind of slow …..nailed a really nice brown first fish of the day then things were quiet in a spot we’d been killing them early in the week. 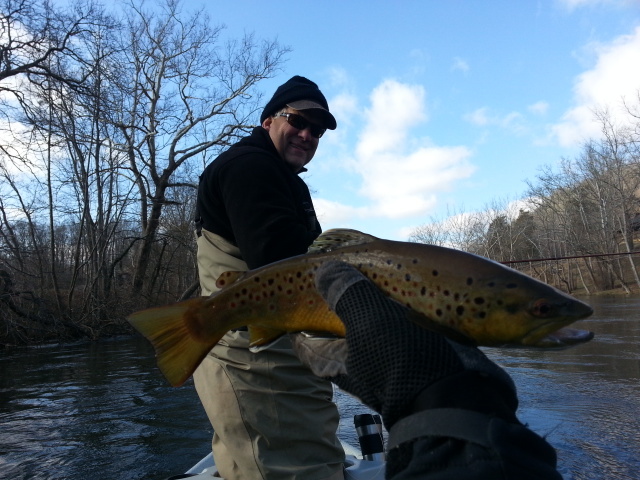 We did ok in the afternoon, particularly in the lower river as we floated past Rockhold and down to Boone Lake. We landed maybe a dozen fish or more, all the browns were quality fish….these are all WILD fish…….speaking well of the incredible wild brown trout fishery the SoHo boasts. So how cold was it? We were one of only 2 boats on the entire 14 mile stretch of the river from SoHo Dam to Bluff City. Looks like another winter blast and snow coming for today, tonight, Sunday, and into early next week. Plus several shots of it mid to late next week as well. The overall pattern is cold and more snow and ice. Its winter right?……Normal. Hope you have a great weekend………be safe on the roads if you head up…. 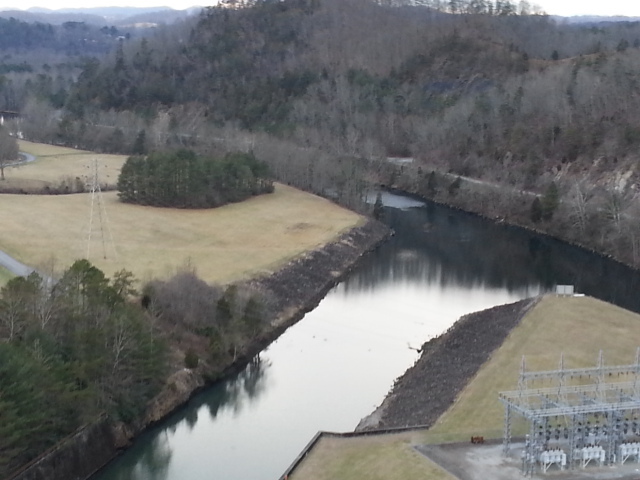 The view from atop the 285 ft South Holston Dam…..built in 1950, at that time it was the largest earthen Dam in America. Thurs. Jan 16, 2014…..Frosty morning, temps in the teens in east TN and the area got 1 to 3" of snow with other areas higher in elevation getting up to 5 to 6". 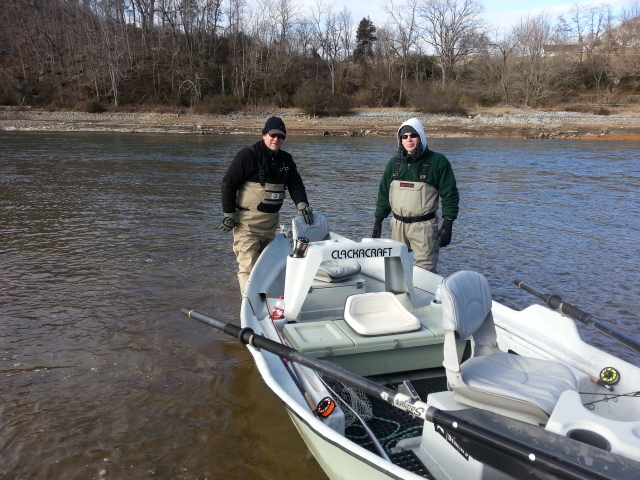 Headed out to do a South Holston float with Len Worsham and Rick Trautman. Should be a good day…will certainly be a chilly one with highs in the 30sF. Have a great one, more to come…. Good Day Float on the SoHo…..
Fri. Jan. 10, 2014… It was great to get on the water again after the past week of single digit temps and frozen water. Most of our small waters were either frozen or choked with ice. 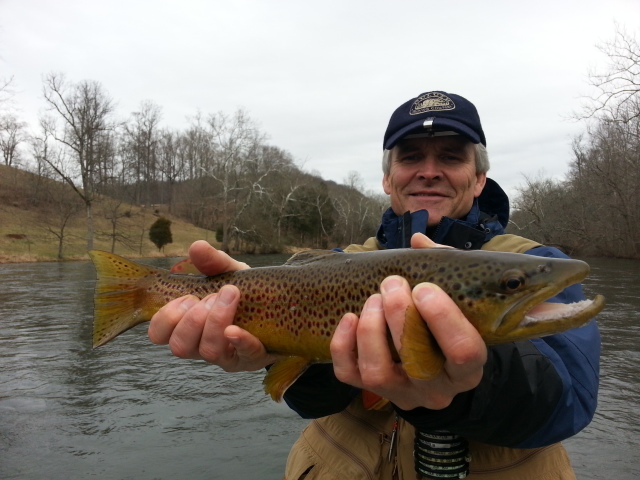 I guided Brad Ball and Stephen Starnes today on a full day South Holston float. We floated the middle section of river and did well. We were into a bunch of rainbows right after we put in. 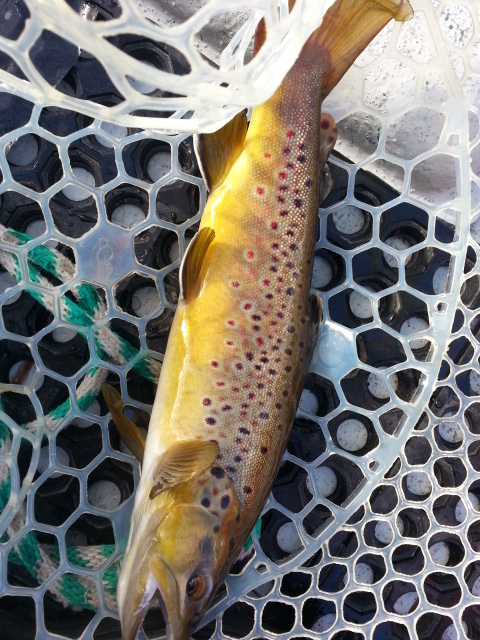 Y2ks with a Choco Midge dropper was the rig of the day as we nailed about 8 or 10 rainbows right off the start. We continued downriver and caught a few more rainbows and one brown before anchoring up a dredging a mid river ledge that holds some large fish. 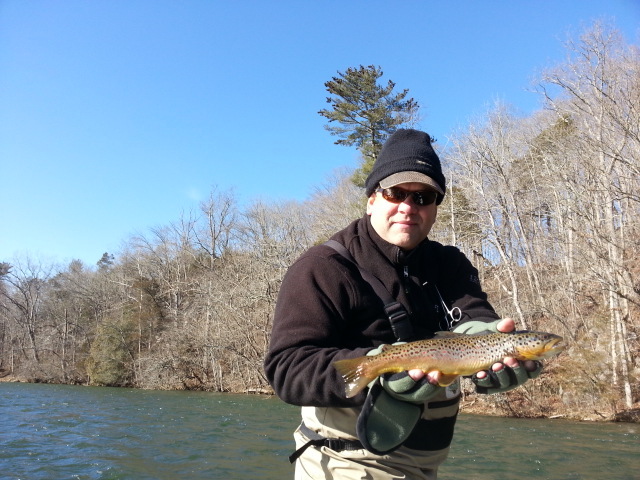 Brad landed one nice 20.5" brown from that spot. 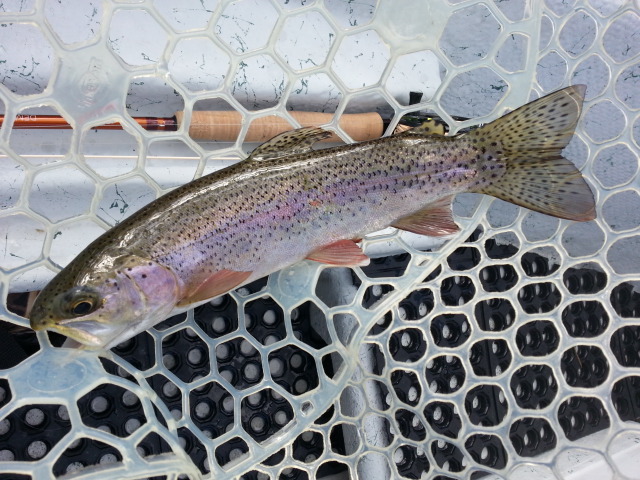 The rest of the trip we caught about 8 or 10 more rainbows before floating through a closed spawning area to our takeout. A great day, great guys. 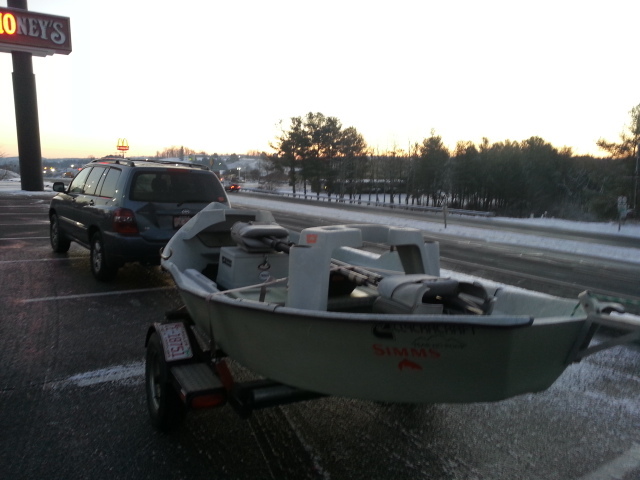 Fishing was good…..2014 is off to a good start. Have a couple float trips next week and a small stream trip or two as well. 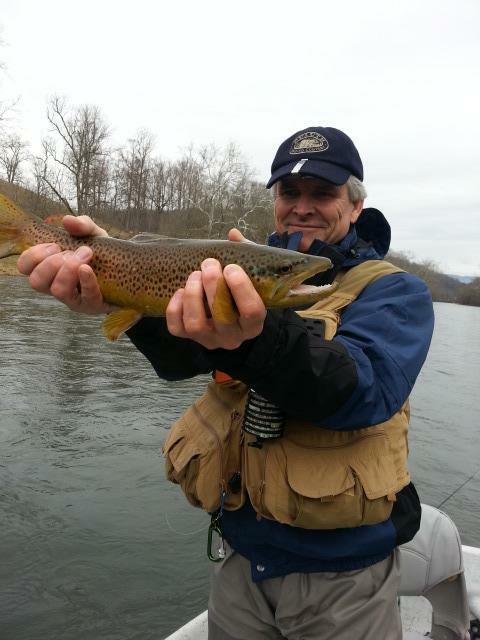 Fri. Jan. 10, 2014….What a nice day, floating the South Holston with Brad Ball and Stephen Starnes and we have done well netting about 15 fish one of which was a 20 inch brown. 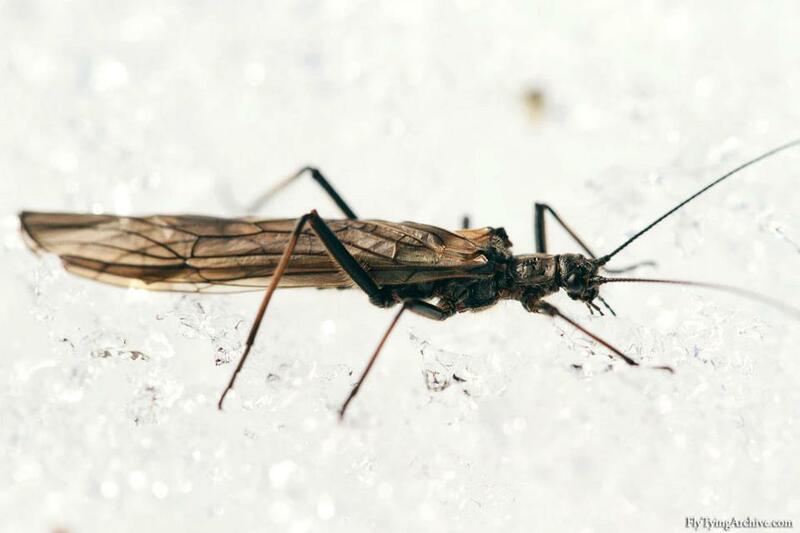 We have nymphet with deep rigs and done the best with a size 18 Chocolate midge…. Headed down one last stretch….More to come…. Nice day….54F…incredible after the past week….. Rain…..Rain…..But at Least It’s Not 5F…. Fri. Jan . 10, 2013…..Wet is the word but so glad the bitter cold is past. 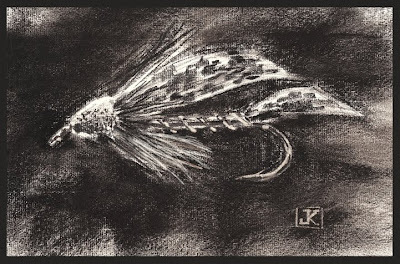 I love cold weather fly fishing but I must say single digit temps are a bit much I must say…. Headed over the hill today to do a float trip on the South Holston with Brad Ball and Stephen Stares of Greensboro, NC. 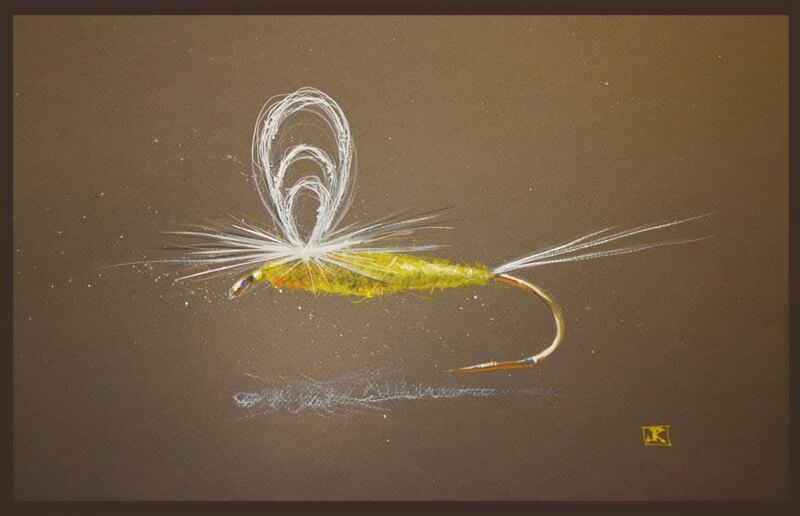 We will be mostly nymphing and chucking steamers on sink tip lines…..
More to come….Enjoy your Friday!